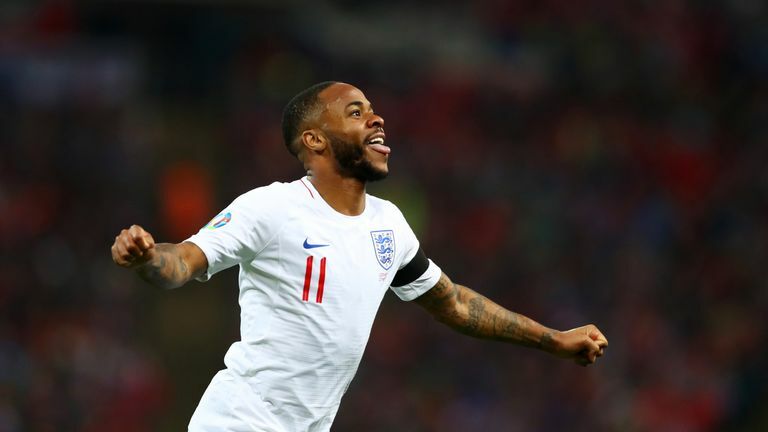 Raheem Sterling scored his first England hat-trick as they kicked off their European Qualifiers with a 5-0 thrashing of the Czech Republic at Wembley. Jadon Sancho marked his first competitive start for England with an assist at the end of a 25-pass move for Sterling's opener on 24 minutes, before Harry Kane doubled their lead from the penalty spot on the stroke of half-time. Sterling then secured the victory with a well-taken second just after the hour, before a heavily deflected third and a Tomas Kalas own goal, created by debutant Callum Hudson-Odoi, added further gloss as England moved top of Group A.
England: Pickford (7), Walker (7), Keane (7), Maguire (7), Chilwell (7), Henderson (7), Dier (6), Sancho (9), Alli (7), Sterling (9), Kane (8). Subs: Rice (6), Barkley (7), Hudson-Odoi (7). 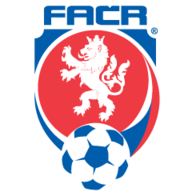 Czech Republic: Pavlenka (5), Kaderabek (5), Celustka (5), Kalas (4), Novak (4), Soucek (6), Pavelka (5), Gebre Selassie (5), Darida (5), Janko (5), Schick (5). Subs: Masopust (5), Vydra (5), Skoda (n/a). Vladimir Darida registered the game's first chance of note, slicing a shot wide at the end of a Czech counter. The attempt on goal, though, drew an immediate response from England. Kane's defence-splitting pass was met by the well-timed run of Sancho and followed by a measured cross which allowed Sterling to convert a classy England opener at full stretch. Sancho's vast repertoire of skills were on display at an expectant Wembley before Sterling turned provider for England's second, drawing two clumsy fouls from Pavel Kaderabek and Kalas in the area. Up stepped Kane who rifled the ball into the top left-hand corner, despite Jiri Pavlenka getting a hand on the ball, to leave England in a commanding position on the stroke of half-time. England were fortunate not to see their lead erased within seven minutes of the restart. Tomas Soucek's glancing header evaded Jordan Pickford's desperate save before flashing inches wide, but the England goalkeeper was on hand shortly after to keep David Pavelka's shot out after a corner was allowed to reach the midfielder in the six-yard box. Eighteen-year-old Jadon Sancho made his first competitive start as England made five changes from November’s Nations League victory over Croatia. Michael Keane, Harry Maguire, Jordan Henderson and Dele Alli were the other players brought back by Gareth Southgate. England soon regained control, though. Czech defenders Kalas and Filip Novak nearly put the ball through their own net after a neat exchange between Alli and Henderson down the left, but Pavlenka denied England a third to keep the visitors in the game. Sancho looked to have added a goal to his early assist on 59 minutes when he got on the end of Kane's cutback, but his shot was blocked before a frantic Czech clearance hit Alli and looped onto the roof of the goal. But the Czech Republic's resolve was eventually broken again as Sterling pounced on the loose ball in the area, brilliantly checked back onto his left to leave the goalkeeper stranded before curling the into the far corner. Declan Rice was introduced for his England debut on 63 minutes and was on the pitch as Sterling completed his hat-trick, a fierce shot from the left deflecting in off Ondrej Celustka. And there was another stroke of fortune with England's fifth as Kalas put through his own net after Hudson-Odoi's driving run and shot was parried against the Czech defender. This was England's biggest win at Wembley since a 5-0 triumph over San Marino in October 2014. Harry Kane has scored 16 goals for England under manager Gareth Southgate - 11 more than any other player. Raheem Sterling has scored with five of his last seven shots for England - he had scored with just two of his first 62 efforts at goal for the Three Lions. 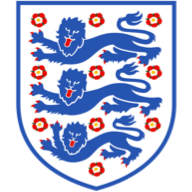 This was the first time in 138 years that England featured two players aged 18 or younger in an international match (Sancho and Hudson-Odoi) - the last occasion was in February 1881 against Wales (Thurston Rostron and Jimmy Brown). Gareth Southgate: "I thought Raheem was electric all night. He has looked like that all week in training. I'm pleased for him, it is a special night for him. I think he's really matured as a person and a footballer. He's hungry for goals and hitting things instinctively without thinking too much." England's hat-trick hero. An outstanding performance which underlined his growing importance to Gareth Southgate's side. Was a constant threat to the visitors and was involved in four goals, also winning the penalty for the second goal. England travel to Montenegro for their second European Qualifier on Monday (7.45pm GMT). The Czech Republic host Brazil in an international friendly on Tuesday (7.45pm GMT) live on Sky Sports Mix and Premier League.